As we all know the New Year is a time for new beginnings, fresh starts and looking to the future. 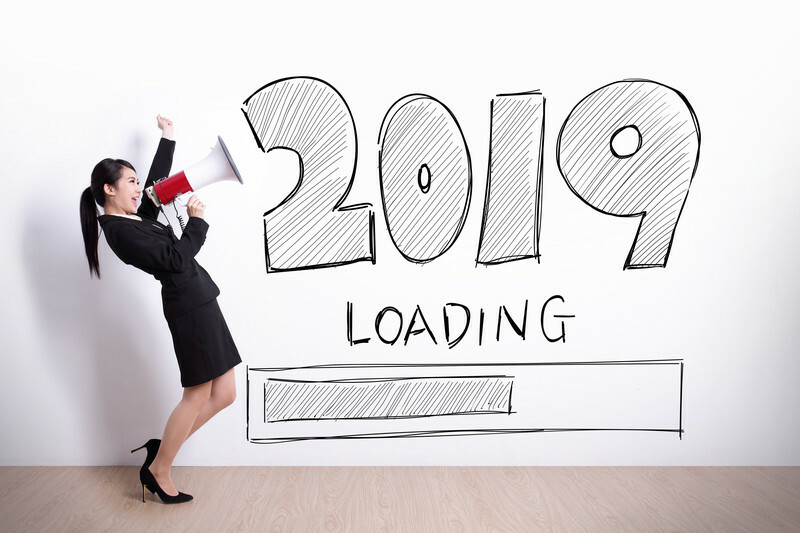 So I thought I would do exactly that in my first blog of the year by looking at the very latest trends in marketing which are going to be super important in 2019 and beyond. Remember that in hypnotherapy marketing nothing ever stands still for very long. One minute you are selling your services through the Yellow Pages and the next thing you know the world has moved on everything has moved online. In the space of a few years the world changed and if you don’t keep up your ability to get clients and make money has vanished and you are left behind by your competitors. So what do you need to be looking at in the near future to ensure that you are ahead of the pack instead of playing catch up? Yes so you watch YouTube and have created the odd video but are you really aware of the video revolution that is happening out there. It is estimated that this year that up to 80% of all consumer internet traffic will be on video! Just think about that number for a second it is huge! So if you are relying on websites alone you have a problem because you are missing the majority of the potential traffic out there that is going to get you your customers. Are you aware of what stories are? If not I suggest you head over to Instagram and Facebook and see how some of the masters in the industry are killing it daily on video. Influencers are out there creating snippets of video about their lives, customers and products and people are lapping it up. Generally the stories are only up for 24 hours but thousands of people end up following these people daily and buying what they recommend. How can you jump on the bandwagon and use them to market your hypnotherapy practice? I have spoken about voice search a few years ago and how it would grow significantly in the years to come and that is exactly what we are currently seeing. How many of you now own an Amazon Echo dot or a Google home mini speaker? When people are looking for help now many don’t bother typing in to their systems what they want, instead they ask their smart speakers. If your website uses the correct words and phrases that help it to be found by voice you are more likely to be the person who is picked by the system. The current estimates are that by 2020 over 50% of internet searches will be done via voice search. Long gone are the days of 9 to 5 working hours. With access to computers, tablets and mobile phones people want instant answers to their questions 24 hours a day. If you are a therapist working on your own it can be impossible to keep up with the demands for information about your products and services especially when they are sent late at night. I know that my Facebook page gets queries daily from clients often well after I have finished for the evening. Automated Chatbots and artificial intelligence have started to take over. By programming in answers to some questions it is possible for your potential clients to get the answers they need to their queries without ever talking to a human. Watch out for this trend increasing over the next few years. Embrace it or be prepared to work very long hours! Marketing a therapy practice means you can never sit still and rest on your laurels waiting for your clients to come to you. You have to keep an eye on the future so that you don’t become a dinosaur. Change it happening all the time so keep your eye on the latest trends and research ways in which you can easily incorporate them into your hypnosis practice. Today I am going to talk about traffic and hypnosis marketing and some of the amazing sources out there that can help you to advertise your products and services. So firstly what do I mean by traffic? I am talking about directing potential customers to your business online rather than to a bricks and mortar location. Without online traffic it is highly unlikely that a hypnotherapy business would survive in 2017 which means a huge part of your marketing plan needs to factor in getting more people to hear about your business. Now even though attracting traffic sounds difficult it is actually incredibly easy especially if you pay for it however the trick is understanding how well the traffic you attract to your website actually converts otherwise you will be wasting a load of time and money and ending up with no new sales. It is important to also differentiate between cold and warm traffic. When traffic is warm it means that the visitors to your website have already engaged with your business or actively sought you out. An example of warm traffic might be a client that you have seen in the past who actively goes back to your website a year or two later with the thought that they may use your services again. Cold traffic involves people turning up at your website and blog who haven’t actively thought about hiring you or buying your products. Your job is to convince those people to use your services or buy your products. Here are just some of the places where you can go to create both warm and cold traffic in order to boost your hypnosis marketing business. Google Adwords is the mother of all traffic generators and with over 6 Billion people using its search engine every day you have the perfect source of traffic. 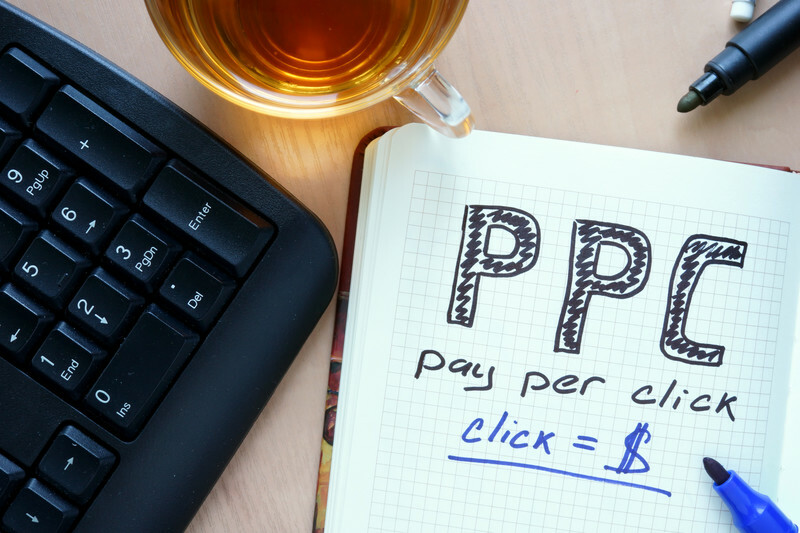 Even better the people that click on your ads are highly targeted individuals and if you set it up correctly they are also motivated to spend money. Google is literally handing these potential customers to you on a plate providing you pay them a finders fee. Sounds wonderful but of course it also has huge pitfalls. Set up Adwords incorrectly and you may as well be burning your money. The thing with Adwords is that it is a relatively complex site which means it can be very easy to make a costly mistake. A former therapy clinic owner I knew threw away thousands of pounds on the site because her SEO guy set up her account incorrectly. Instead of attracting people to her complementary health clinic who wanted therapeutic massages she managed to attract every sleazy man in the area looking for something a more intimate form of massage. Ouch! If you are a newbie at Adwords and don’t want to get burned check out our online course which will show you how to set up your account without the common pitfalls. In the UK most people still use Google but over the past few years Bing has been increasing its market share and now makes up 20% of the UK market. This means that when you are creating content or using ads this search engine needs to be considered. Also because the competition for ad space it still low on this particular search engine the cost for clicks is still relatively cheap which means it is worth considering in some niches as your return on investment will be significantly more. 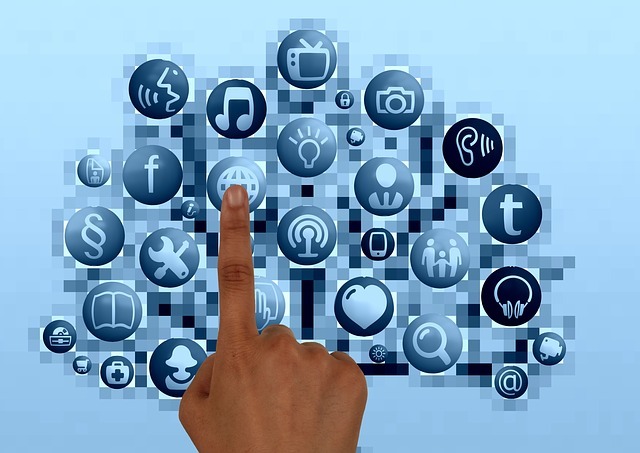 Now once upon a time creating a fan page and adding useful articles and videos on Facebook was a great way of reaching lots of new potential customers. That was until Facebook started to reduce the reach. So what is reach? It simply means the number of people who would see the content in your posts. Once upon a time around 16% of the audience who liked your fan page would see your posts that has now dropped to around 2% unless of course you pay. Facebook Ads are becoming increasingly popular because of the sheer number of people that you can reach on the site if you are spending the cash however it is worth noting that if you are not targeting real fans of your page then the traffic is cold. That simply means that you have to find a way of turning the people who come across your content into believers who are willing to spend on your services. Yes you may associate the site with pins of interior decor or recipes but it is also used to drum up traffic for many businesses. Add captivating pictures that link back to your website content or blog posts and some people will click though to see what you have to say. If they like what they see and hear then you are going to have a sale or a new customer. Of course Pinterest has also got into the habit of getting people to pay for promoted pins. Some of the old fashioned methods are the best. Every hypnotherapist should be capturing the emails of visitors to their website or their clinics. Just remember that the people who come to see you need to have agreed to sign up to your mailing list. Once you have that email you can start to market to those customers and sell them solutions to their problem. The great thing about email is that nobody can take your list away from you. Yes some people will always unsubscribe from your content but in general if you are sending out useful information it can only continue to grow. Yet your Google ranking can change in a heart beat depending on the latest updates tanking your traffic as quickly as you built it. The money as they say is in the list! Search Engine Optimisation is another way to get found and to attract visitors to your website. If you are a hypnotherapist without a website then you have a problem as that is where most people go to get information. The problem is that SEO takes time and you have to know what you are doing in order to get your content found in the search engines. Even if you do get your SEO right and get that coveted number one Google slot for your particular keyword you still have a problem, the pesky ads. In high traffic areas there are likely to be four other people paying to advertise above your listing which means that you are half way down the page even before you have begun. SEO can be great but the consensus appears to be that it won’t be long before the first page of Google is almost completely dominated by ads. To set up your website correctly for SEO my Turn Your Therapy Website into a Client Magnet Can Help. YouTube is one of the most popular channels in the world with people. People love to view the free content on the site and they love to solve their problems by searching for video solutions. I know I have used it to solve IT problems, help with DIY and of course for fun. In the case of hypnosis marketing it is the perfect place to upload videos either about your business or to demonstrate how you can solve other peoples problems. If you aren’t using the site then you are missing a trick. In the UK one of the largest directories is the Hypnotherapy Directory which is a traffic source and can help to bring in referrals. This is a niche directory as well which means that the people who are searching on it are actively looking to get help for their particular problems. There are of course thousands of other directories both free and unpaid which you can place your details on to get customers in through your doors. Be cautious where you spend your hard earned cash and never pay for a directory or a listing in a publication when you are cold called. People love actually seeing things which is why sites such as Instagram and Pinterest have taken off in the last few years. Now with this site there is no point in just putting up picture after picture of your therapy practice or logo because people will unfollow straight away. For example there is a gym near me that just puts up post after post of boring pictures of their equipment and classes. Yawn! Make sure that you are putting up interesting content about other events and places you have been and then every now and again drop a picture of one of your success stories or promotions. That way your followers won’t get bored and will be actually engaged by what you have to say. Getting traffic doesn’t have to be hard but the key for hypnosis marketing is to make sure that it is diverse. I have talked before about not putting all your eggs in one basket. If you are getting all your traffic from one source then you need to start to find other alternatives fast. Having a number of great places where you can attract new customers is key to propelling your business to success. Oh and finally I have decided that my hypnotherapy marketing mentoring rates are going to increase from June of this year. This is simply because the time and effort it takes to mentor one person is significant vs the revenue I make from my online work. So if you are looking to work with me on a one to one basis I suggest you book in now as my fees are going to double from the middle of this year. Who is The Target Market For Your Therapy Business? Sharon has just completed her therapy training and decides she wants to set up a practice in Townsville. She works with a local web designer and tells them that she would like a website similar to the ones that she has seen her competitors use. She tells that designer that she is looking to get business in Townsville and asks them to construct website pages detailing all the different forms of therapy she does. Sharon knows that she loves working with people suffering from pet bereavement so makes that a feature on her front page. The rest of the website pages have a brief overview of her services and there is a contact page for potential customers to send her an email. Sharon gets the website placed live online and waits for the phone to ring. Sound familiar? I would say the vast majority of therapists do something very similar to Sharon and never really think about who their customers are and what they want. Instead they construct a website that they have seen a thousand times before or alternatively they choose to focus on a treatment that really interests them without ever giving a thought to whether their customers actually want or need it. 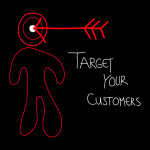 To really target your therapy marketing it is necessary to put in much more thought into who your customer really is. 1) Location – One of the biggest mistakes I see therapists making is defining a market location that is too small. In Sharon’s case her marketing revolved around Townsville but that really does not make much sense especially if that area does not have a significant population. The reality is that you need to be targeting the towns and villages around your home location as well. This could also mean the county or the region where you are based. I regularly get clients coming to see me from many miles away so it does not make sense to focus on a small area. 2) Age – How old are the clients who are coming to see you? Are your treatments aimed at children, young professionals,the middle aged or even the elderly? Try and work out who is coming to see you and then create a website and marketing plan that appeals to that niche. 3) Gender – Can you define your market even further and differentiate by gender? If you specialise in fertility therapy or Hypnobirthing then creating a website that also appeals to men is slightly pointless as it is the women who are making the buying decisions in these cases. 4) Income – There is no point in offering £200 per hour treatments or an expensive package of treatments if you know that your local area is filled with low income earners. That said if you are in the middle of Central London or New York then yes you can sell top dollar all singing all dancing therapies at premium prices. 5) Interests – You may have a huge interest in pet bereavement therapy like Sharon but is it the most suitable therapy to highlight on your website front page? This issue by the way is not made up. I worked with a Counsellor who was getting hardly any clients and was scratching a living. She had put this treatment as the highlight on her website. It was obvious that not only did nobody care about this treatment but that it was probably putting them off contacting her for other issues. Think about the real problems that people really want to see you about such as couples counselling or anxiety reduction and concentrate on those. If you do offer other treatments that are more “out” there stick them on your inside pages. 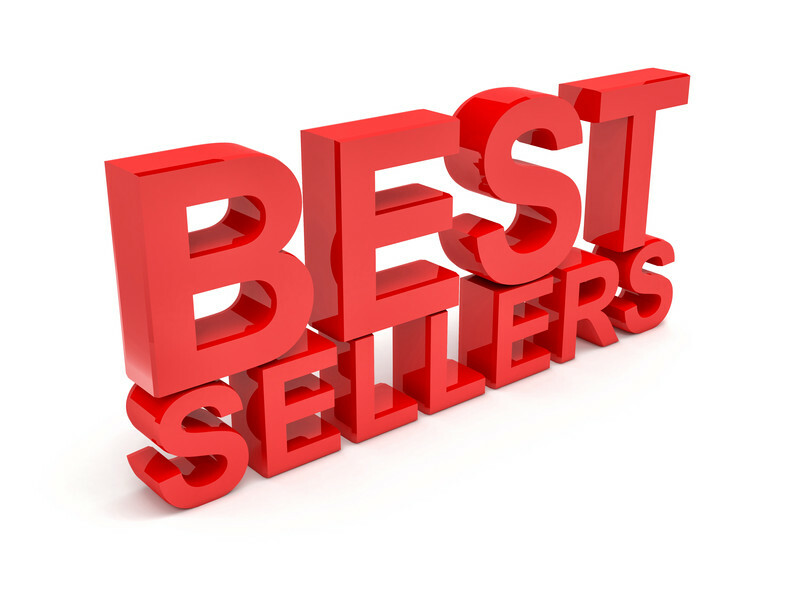 6) Best Sellers – I have mentioned before that in order to be a great therapy marketer you need to “Smell What Sells”. Have a look at your competition and the people who are typically coming to see you and you will find that some of your treatments will be ten times more popular than others. These need to form the core of what you offer as that is what is going to make you a living. Creating a niche is great but not when it is so obscure that nobody is paying to come and see you for it. 7) Where are They? – Once you have a better idea of where your target market is based you can start to market to that location. So if you are selling Hypnobirthing you need to target local midwives and doctors surgeries, playgroups and coffee shops. Get together with local Yoga and Pilates teachers to sell your services and so on. There is no point just sticking an advert in the local paper as it isn’t targeted marketing. You need to focus in as closely as you can to your niche and sell them more services. 8) What do You love? – Even though I don’t advocate choosing obscure treatments to focus on there is no harm in choosing to focus on the other areas that you love to work in. If you get a kick out of helping people to stop smoking then really focus in on making that part of your core business. If you hate working in other areas then leave them off your websites. I know that I don’t get excited about working with children so where possible I try and avoid that kind of work. Others however will love the little ones. Horses for courses as they say. 9) Vocabulary – I saw a great website today from a Life Coach called “yourkickasslife.com”. The title of the website and the content stood out but remember that this kind of website has its limitations. It has been clearly designed to appeal to women and I would say an age demographic of 30 to 50. Having a website using similar language whilst offering treatment for older customers will simply not appeal in the same way. Choose the tone of your words and phrasing carefully to suit the customers you are trying to appeal to. 10) Keywords – Finally make sure that you use keywords in your copy that will help you get found. In other words think about what your customers would type into the search engines and then use those phrases in your website content. There is no point in wasting words talking about non related content as nobody will find you! Defining an audience for your therapy marketing and targeting those customers can be easier than you think but it does take a little effort. Get it right and you will reap the rewards but get it wrong and you will be lucky to see a customer coming your way. If you need help with your therapy marketing strategy then getting a professional involved is a great way of making a difference to your bottom line. It can make the difference between success at your new chosen career or failure and heading back to your old day job! Are You Making This Pricing Mistake? How do you sell to your customers? Here is what I generally see when I visit other therapists websites. There will be a price per hour charge that is offered to most customers for general problems and then sometimes a more expensive price for stop smoking sessions or perhaps weight loss. That is it! 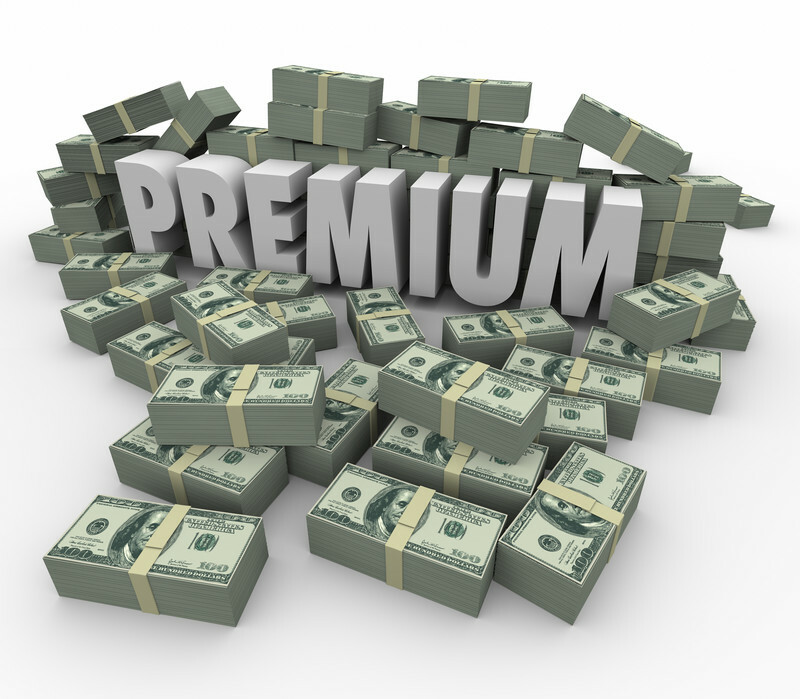 No thought has gone into the packaging of these prices and how you can use price to make additional profits. 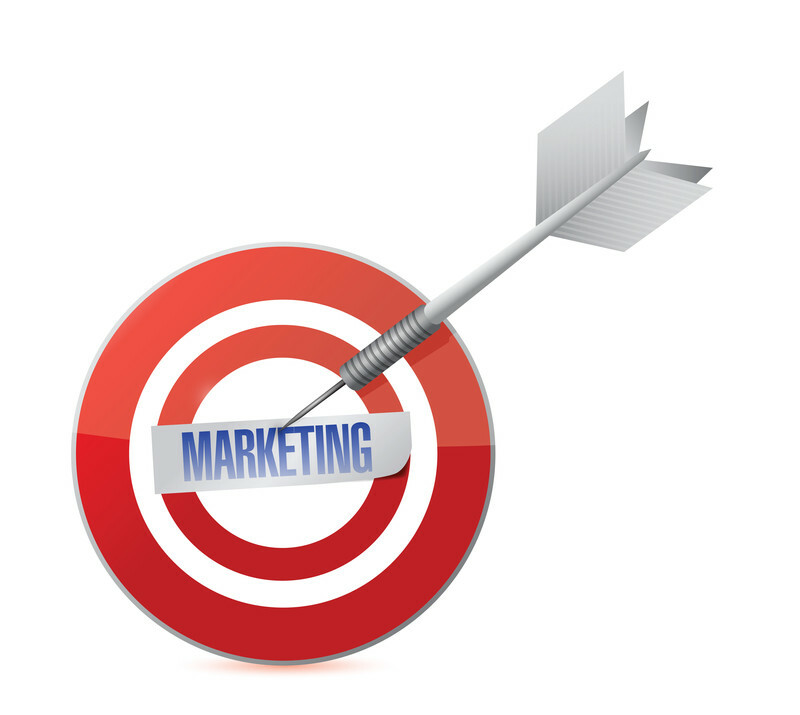 Remember in order to really boost your profits you need a decent Hypnotherapy Marketing Plan. So lets start with the basics. Offering a bog standard one off price for most of your sessions makes no sense whatsoever. You need to start thinking about what a customer is worth to you in monetary terms and how you can make additional profits by manipulating your price points. A single price per hour does not do very much towards making this happen. For example you know that a weight loss client who needs to lose five stone will need to see you for multiple sessions in order to see real results. Offering them one session at a time is sending out totally the wrong signal to that person. It gives some people the impression that just like Harry Potter you are going to magic away their problem in one hour and you know that is not going to happen. When you advertise like this the client is going to be disappointed when they don’t see miracles happening after that first session and they will not bother to return. This is a wasted opportunity on both sides and therefore you need to create a better strategy to prevent this from happening. Now if you were not aware most businesses create a three tier pricing structure for their products in order to maximise their revenue. You will have seen it everywhere but probably not noticed it or thought about apply it to your hypnotherapy marketing. Ever gone on to a website and been offered a bronze, silver or gold package for software? Or perhaps you were booking a flight and you were given the option of economy, business or first class? When you start looking out for this three tier pricing model it will become obvious how retailers and service providers are squeezing extra profits from their clients. So how does this model apply to your hypnotherapy marketing plan. Well lets look again at the issue of weight loss and how your pricing could be adapted to this model. You can now tier your services so that you can move your customers into different pricing brackets. Package One – Offering a three session suggestion hypnosis package. No frills, no in-depth analysis of why the client is overeating but three sessions of suggestion to motivate them and get them on track. Package Two – A six session plan offering more interactive sessions involving regression and parts therapy to really find out why your client has the problem. Once the reason for the problem is found you then work on resolving that issue with more complex hypnosis procedures. You could even throw in the extras such as NLP, CBT or any other therapy that you would find useful. Package Three – A ten session plan offering the deluxe, all singing all dancing weight loss support. Daily check in’s on email plus a full audio program and eBook. Nutritional support and exercise plan (bought in from other practitioners) and so on. Now you have no need to see a person for a one session wonder again. They are barely worth it to you financially. Instead you are arranging to see your clients for a minimum number of sessions to reach their goal. How you create these tiers and differentiate them is entirely up to you. What I have placed above is purely an example of what can be done so feel free to come up with your own versions. That weight loss client who rings you will now have a much better understanding of what may be necessary to really achieve their goal. By understanding they need to commit to a program of sessions means they will no longer be disappointed with a one off session. It also means at the very least you are getting to see those clients for a minimum of three sessions. But things get better! It is a well known psychological fact that most people do not like paying the lowest price for goods and services. In their mind it means that they are getting poor value or a product that will only do part of what they need. A prime example of this is wine in restaurants. Most people will opt for a mid price bottle rather than go for the cheapest especially if they are trying to impress a date! That means that a good percentage of your clients will opt for the second package of weight loss support rather than the cheapest. This means that you can expect to earn five times more than you did with your one session wonder. By having a three tier pricing structure you are also preventing people from trying to haggle down your prices or asking for discounts. As there is already a lower price option there is nowhere for them to negotiate down to and so those time sappers no longer even bother to ask the question. There is also the upside. Even though most of your clients will choose tier one or two there will be a small percentage who go for the full on 10 session mega package. Why? Because they like to buy premium products (the best TV, mobile phone etc) and so when it comes to weight loss they continue to want the most expensive product. That now means that you have potentially got some clients staying with you for weeks and months filling out your appointment diary in a much simpler way. If you really take the time out to analyse your business you can see that using this one tactic can alter your entire hypnotherapy marketing plan and your bottom line. Even better this three tier pricing policy can be applied to almost all of the treatments that you have on offer. By being smart about how you offer your products you can increase your profits substantially. So take the time out and really think about how you can apply this methodology to your business and watch your profits begin to rise substantially. Alternatively if you would like a little extra help you can purchase my eBook from the online store today or contact me for more details on my hypnotherapy marketing mentoring sessions. How many times as a therapist have you actually gone online and started researching marketing methods for your business? How often do you sign up to some of the leading marketers emails and newsletters to get help with your business? From what I have seen this is something that very few therapists actually do. Given the opportunity most hypnotherapists would happily sign up to numerous CPD courses on hypnosis rather than spending time learning how marketing works. This attitude is killing your business. In order to boost your hypnosis marketing you need to be looking at what the best in marketing business are doing. As I have said many times before without clients you are nothing. It means no revenue and no mortgage being paid. In order to get the clients you need to do hypnosis marketing. It is not a nice to have but an essential. Now as well as learning how to market from people such as myself there are plenty of people online who have taken their marketing to another level. They may work in completely different industries but the great thing with marketing is that the techniques used can be applied to all kinds of businesses and areas. Keep your eye on what the best marketers are doing and you can use their tried and tested methods to boost your business. I know that to make sure I achieve my business goals I am always looking at what other people are doing. In-between seeing clients and running my online business I can spend a considerable amount of time browsing online and seeing what is new. I no longer bother to see what my local competitors are doing instead I look and see what the best people in the world are doing. These are the people who have taken their businesses to the next level. So who are these movers and shakers? Marie Forleo – This woman is amazing. She started off as a life coach and now she runs a multi- million dollar company. Sign up for her updates and news and you will get access to her great videos on all kinds of issues that you may experience with a business. Her website is glossy, her videos funny and informative and you can get much of this for free. What’s not to like? Mari Smith – Want to learn more about how to make Facebook work for you? This woman has all kinds of information on the social media site. Analysis of updates as well as showing you how you can make money on this social media platform. Neil Patel – Founder of quicksprout.com and guru on all kinds of marketing. His blogs get hoards of visitors because they are useful and informative. He talks on everything from infographics to SEO. Derek Halpern – Founder of Social Triggers and a individual who is particularly interested in the psychology of marketing. When I started to watch his videos he looked like a college graduate and an amateur but with great information. By showing people such as myself how to market he has made a fortune. His videos are now more polished and professional. Just shows you what money can do for you. 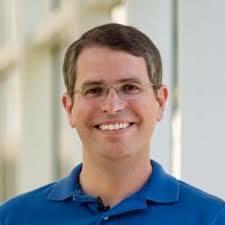 Matt Cutts – Never heard of him? Well you should as he is in charge of Google’s webmaster videos. If there is a big change coming on the Google search engine he will be the first person to tell you about it. Keep an eye on what he has to say as it could impact your web position. Rand Fishkin – The founder of moz.com. He is an expert in SEO, marketing methods and provides great information on building great businesses. I could go on. Look around the internet and there are plenty of people who are willing to show you how to run a better business. You don’t have to purchase everything they publish but I have no doubt that in some cases it would be well worth your money to do so. None of these people talk about hypnosis marketing specifically but I can tell you that when it comes to selling everything is simple. You have a product or service and you need to persuade your customer to buy it. Get that right and you have the perfect business. Hypnotherapy Marketing – What Should You Charge? T oday I participated in a fascinating debate on a LinkedIn group where a person had posted a question on exactly how much a hypnotherapist should charge. What followed were a series of posts on the amount people charged clients, what was too much and what was too little. What really got me interested however was that a number of people wrote that they saw themselves as healers first and then hypnotherapists and therefore they never expected to earn much from the profession. Wow I thought this is a problem. How can we be expected for people to take us seriously when we can’t even see ourselves as offering a service that is worth real money. This is a perfect example of negative hypnotherapy marketing. I was very clear with the group. I do not or have never seen myself as a healer. In fact for those of you writing websites please never post that word on your pages. What does the image of a healer conjure up to you in this day and age? My guess is some new age hippy type who believes that they can make someone well without there being any scientific evidence to demonstrate their abilities. Healers are seen as quacks and also people who could potentially prey on the vulnerable in exchange for dubious services. Alternatively healers are seen as people who have some god given gift to help others. In particular they go around offering to help others for little or no money. Frankly neither of these descriptions comes even close to what I do. In my hypnotherapy marketing I am very clear. I am a professional therapist who is a member of a serious professional body and who has got significant training and expertise in the area in which I work. I run a very serious business and because of that I deserve to be paid accordingly. My charges may vary depending on the area where you come to see me or the program which you are on but ultimately do not expect cheap. Why am I not cheap? Because I need to pay my bills and live a good lifestyle. Think like a healer or a person who does not deserve to earn very much and that is exactly what will happen. Your earnings as a hypnotherapist need to be sufficient for you to pay the bills. That means your income at the very least needs to keep you solvent. Personally I prefer my income to do more than just pay my outgoings each month. I like to go on nice holidays and eat in nice restaurants and I work hard to make sure that I earn enough so I can enjoy the finer things in life. Not every therapist however has the business savvy to make sure that they can do the same. As well as working with therapists I have helped plenty of small business owners over the years. One individual springs to mind who ran play classes for small children. Generally her business model was that she would hire out a school or a church hall and a number of times a week parents could bring their children to the classes for a couple of hours. It would allow the parents to know that the children were being looked after for a couple of hours whilst they got on with other chores. Meanwhile the children would have a great time playing with their friends and enjoying the activities provided for them. Such a simple business model yet the person concerned was living hand to mouth. In fact when I met her she could not afford to put on the heating in her flat. Why? Because instead of charging the parents for a terms worth of classes she would only charge them if they turned up. This therefore created the problem that she never knew how much money she would be earning each week. If the parents fancied doing something else she would have the hall and overheads to pay for and no money to pay for it. In order to create a stable income for her it was really simple, charge the parents per term. She would have a guaranteed income and then she would not need to worry about her basic income. Why do I tell this story? Because I know that plenty of therapists out there do the same thing. They have a room which they need to pay for either in a set time slot or on an ad-hoc basis. They book their client in for a session and the client does not bother to show up. Not only have you then lost the time for the session but you have also paid for room hire, travel costs and lost the travel time to and from the clinic. You have lost money by trying to help people. Now if you had taken a deposit or the payment up front it would be a very different story. I rarely get no shows now because people have paid their hard earned cash upfront. Or what about the therapists who book their clients on a program and charge session by session. They hand their clients booklets, audios and information packs in the first session and never see their clients again. They have taken all your valuable information and resources and walked out the door with and you will never get paid the full cost of the service. Have you ever given discounts? Felt sorry for a client and worried that they would not have access to therapy if you didn’t lower your price. Then you found out that this client was living in a large house, paid for Sky TV every month and eating in the best restaurants in town. You have reduced your income because your client has decided they want to prioritise their spending in areas other than their health. Unless you are one of the few very business savvy therapists in this industry you need to up your prices today. Whatever you are charging is probably too little and if you are a woman this is almost definitely the case. Read my blog on hypnotherapists and gender pay differentials. In this same LinkedIn group there were many people saying that they had hardly upped their charges in years. 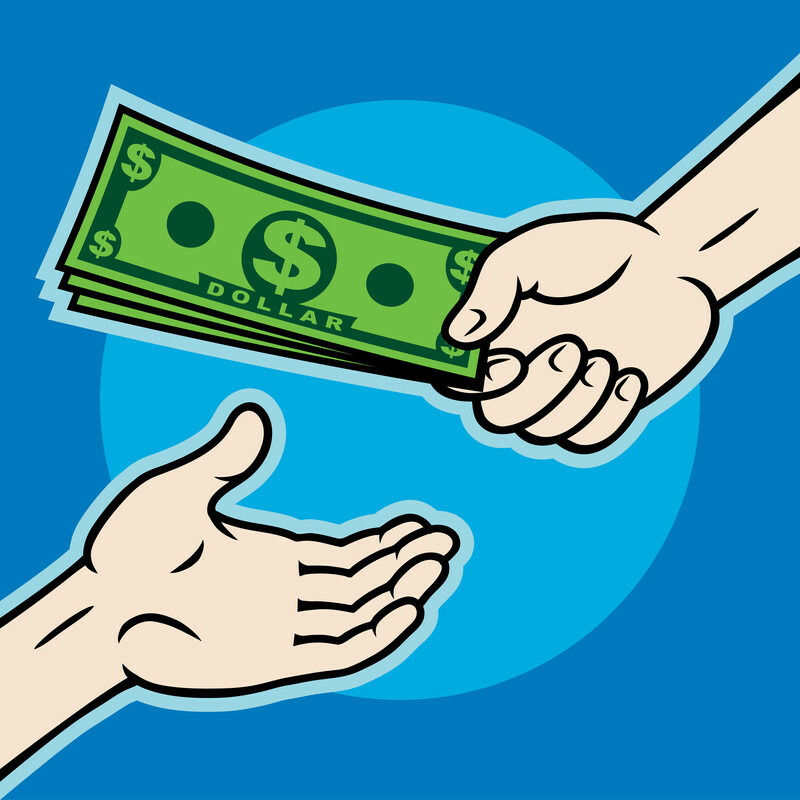 There is a fear in the industry that we will push our clients away if we charge too much. Yet year on year I have consistently increased my prices and each year my income has risen substantially. I should point out that I started my business during the worst recession out there and still made money. People will always pay for quality and successful results. Look at your website, the rooms you use with your clients and your advertising. Do they scream success at you? If not then up your game because you will never clients paying more unless they believe they are getting value for their hard earned money. Do not believe as many hypnotherapists do that the profession is lowly paid and therefore you will never become rich from your business. That simply is not true. I see plumbers, builders, electricians all making money from their careers and they are self employed as well. The difference is that they run their businesses to make money whilst most therapists don’t. Believe it or not you can have your cake and eat it. With my hypnotherapy marketing courses and business mentoring I can help you to have a vocation that you love and to earn great money from it as well. Learn how to market like a pro and watch your income soar. Happy Chinese New Year – Seasonal Hypnosis Marketing Works! So for those of you that celebrate it Happy Chinese New Year – The Year of the Goat. A time for sweeping out the old and bringing in the new and of course with that brings those new years resolutions for the second time this year. Yep it means that not only are you able to capture new customers who want to change their life in January but in February as well. Capitalise on an event such as the Chinese New Year and you now have another way of getting those valuable customers in through your door. This post is about seasonal hypnosis marketing and how it can work for you. You see throughout the year there are set times when people look are looking to purchase products and services. We see them everyday in the shops but many hypnotherapists are not capitalising on capturing those customers in the same way that retailers are and that needs to change if you want a steady stream of visitors coming to your website. 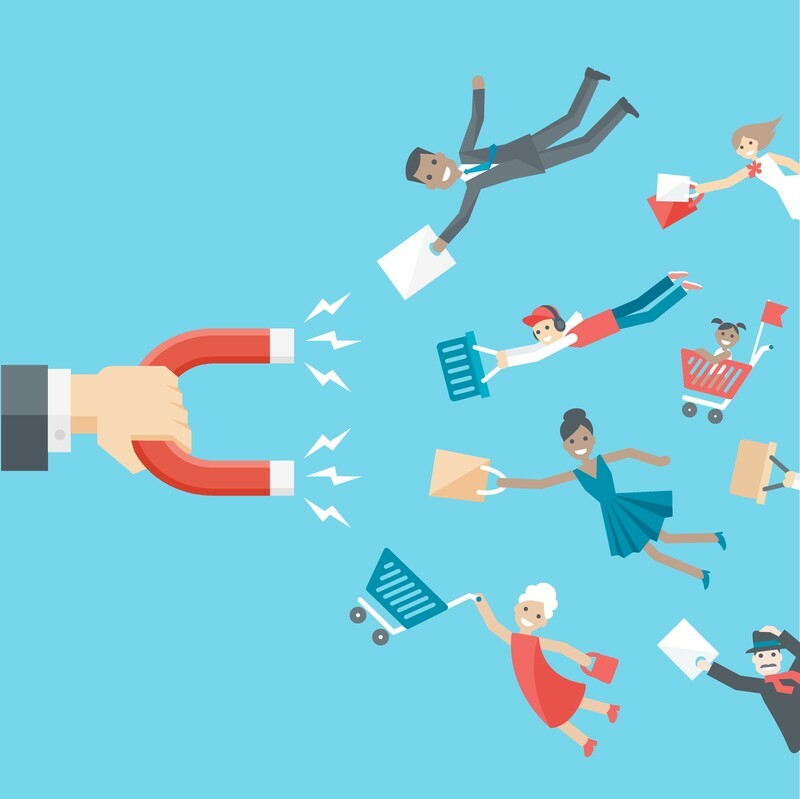 Retailers know that by planning seasonal campaigns they can have a great way of boosting their profits and that means you can apply the same tactics to your hypnosis marketing to increase your revenue. Winter – Helping people with SAD syndrome and depression. Valentines Day – Helping people who are depressed because of break ups. Summer – In the spring start advertising to help people get the perfect beach body. Xmas – Audios on how to deal with Xmas stress. AprilMay – Helping students to calm their exam nerves. There are literally hundreds of different ways in which you can promote your products to your customers if you take the time to think about it. You just need to plan your marketing year in advance and choose the campaigns that will work for your business and specialisms. Now these are just a few of the weeks or months where you can advertise your specialist skills and there will be many more. This is a simple hypnosis marketing tactic but it can help to reap great rewards just by targeting specific groups of customers who want to be helped at certain times of the year. Start to think about what you want to be offering your potential clients for 2015 and structure some simple marketing campaigns around it. At the end of the year look at which were successful and stick with those year on year to increase your profits. Boost Your Hypnotherapy Marketing – Smell What Sells! Ever watched the TV program The Apprentice? The UK version has Alan Sugar at the helm and every year they run one particular task. The candidates are told that they will be working in a market stall, shop or pop up stall and they are given a range of goods which they can sell. They are allowed to pick only a certain number of items to put up for sale and the team which makes the most money wins the task. Alan Sugar always barks the same phrase at them “smell what sells”. In other words make sure you pick the products which you know people are going to buy. Great advice and one which you need to apply to your hypnotherapy marketing. Every time when I run my marketing classes I can guarantee that one of the therapists in the class will come to me and tell me that they are not getting enough clients and they can’t understand why. They will explain to me how they run their hypnotherapy marketing and in most cases it is instantly obvious to me why nobody is knocking at their door. One person in particular springs to mind who illustrates this point perfectly. A gentleman came to see me who worked in an affluent area of the country and explained how he wanted to specialise in working with people who cared for their elderly or sick relatives. He wanted to help support them and felt hypnosis was a great way of doing this. His website front page openly discussed this service and he advertised locally to bring people into his clinic the only problem was he wasn’t getting any calls for this or his other services and was scratching a living. Well of course he wasn’t. 1) He was trying to get business off people who have no money and no time. How many people who are not working and are only getting a care allowance can afford to see a hypnotherapist? Even if they did have the money they would not have the time to come and see him. 2) He was ignoring the fact that in the area where he lived there were hundreds of thousands of potential clients who would come to see him but for other services. His clinic location was in an area known for rich affluent women. People who probably would love to lose more weight or get help for anxiety or smoking. He was ignoring the people who were practically begging to come and see him. Now I am not saying that he couldn’t still try and support the people he was interested in but if he wanted to earn money he needed to adjust his business model fast to prevent him ending up broke. Who is your Hypnosis Marketing Targeted at? When you are doing your hypnotherapy marketing you need to consider who is willing to spend money to come in through your doors. 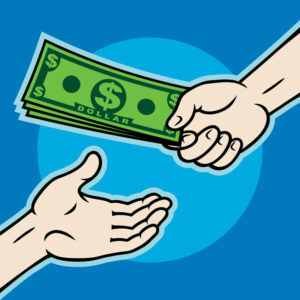 Picking people who have not got the cash is going to get you nowhere. But I have seen the error being made time and time again. You need to understand what the bestsellers are going to be in your area and market those services to the people who need them. Wasting time and money advertising to the 1% is not going to help your bank balance. Consider how you market your hypnotherapy practice because there is nothing more off putting that an advert or website that actually repels clients. Yep I see plenty of these as well. For example a Counsellor who used her website home page to explain how she could help with pet bereavement. Yes of course many people will need help with this but putting it on your front page made no sense. All this did was put off potential clients who wanted help with their marriages or depression. Frankly it made her seem just that little bit flaky and her potential clients moved on elsewhere. What about another therapist who called her website something that had nothing to do with hypnotherapy at all. When you arrived at the website you had no idea at all of what she was offering. It was incomprehensible to me and I knew what she did for a living so goodness knows what potential web searchers thought. Again she came to see me because she wasn’t getting any business. Not a great shock and one that was really easily rectified. Oh and don’t get me started on the number of therapists who have god awful pictures of themselves on their websites or bad videos. Photoshop is there for a reason to make you look better. I have seen so many bad pictures of therapists who would frankly frighten a small child. People coming across your website will see your picture and think, no thanks, and head off elsewhere until they see something they like. If you don’t look photogenic then choose a different web design and leave the picture out. Be self aware and understand that looks sell and dreadful ones don’t. Harsh I know but a reality that you need to be aware of. Remember Alan Sugar made his millions for a reason. He understood the products that people wanted to buy and manufactured them. We can do the same. Research what is likely to bring you in a good income and start advertising for clients who want that service. Smell what sells and you will find that your hypnotherapy marketing becomes significantly easier and you will be considerably wealthier. 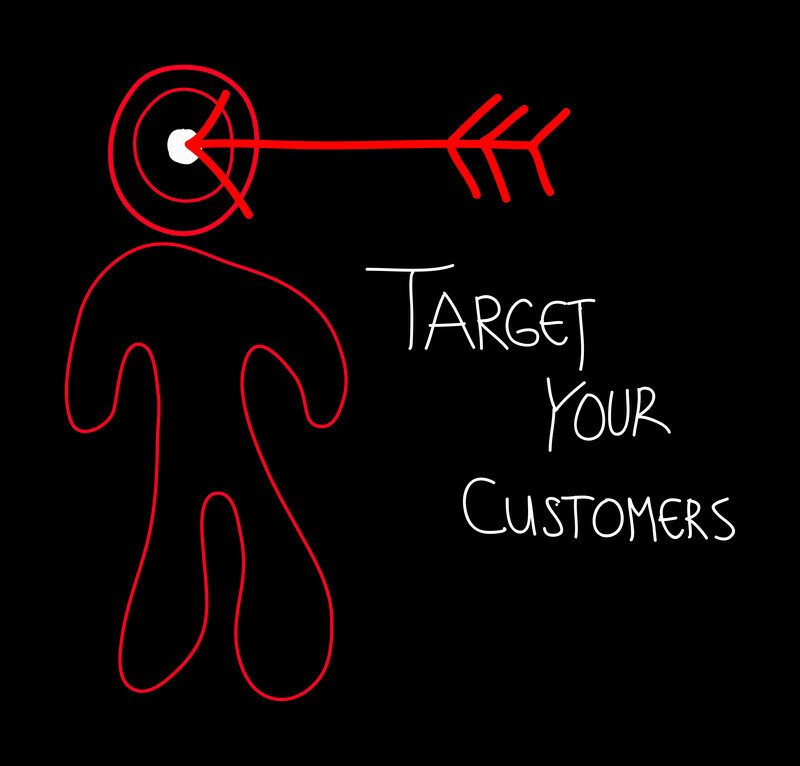 Marketing Hypnosis – Who are You Targeting? So you are a therapist and you are marketing hypnosis. How exactly do you go about finding people to come to your clinic? Well I will tell you what the average therapist does. They sign up to Yell and a few other directories, distribute leaflets around their area and make a generic website with the minimum number of pages to try and entice clients to call and book. The problem is they are trying to be all things to all people and are scattering their marketing efforts far and wide without ever considering who their target market really is. Marketing hypnosis through leaflets for example must be one of the greatest examples of futility when they are distributed around your local neighbourhood. You can send out thousands of them but in 99.9% of cases they will never be looked at and thrown in the bin. Why? Because most of the people you are sending the leaflets out to have no interest in seeing a hypnotherapist. It is a classic case of non targeted marketing and it does not work! In order to attract clients you need to work smarter. A generic leaflet won’t cut it but a targeted leaflet handed to the right people might. For example a leaflet about weight loss hypnosis handed out to people before they enter a Weight Watchers class might be nearer the mark. Leaflets about past life regression handed to people attending a mind, body and spirit event could get a greater response and so on. The same thoughts apply to your website marketing. Is your website trying to be all things to all people. Would it be better if your website targeted a specific group of people so that you are now perceived as an expert in that area rather than the scatter gun approach? I know that if I want help with something I look for someone who is considered an expert in that area. So if I had a problem with stress I would look for someone who specialised in helping with that issue. If I had a choice between a website that dealt purely with that problem and another which mentioned everything under the sun then I would be more likely to pick the one that targeted me. You see when it comes to marketing hypnosis people want to feel that you know them and you can help them with their exact problem. When they come across your site they want you to have explained exactly why they are feeling the way that they are and how you can fix that issue. Preferably they would also love to see testimonials from people who have experienced exactly the same problem as they have and how they have been helped to overcome the it quickly and easily. A potential client reading this thinks that you know and understand them and will be happy to ring you because you seem like the go to person in that area. A generalist website, leaflet, directory entry or business card simply doesn’t speak to them in the same way. Whenever you think of marketing hypnosis you have to consider who am I targeting? When you know who you are aiming your services at then you can write copy that speaks to them and them alone. 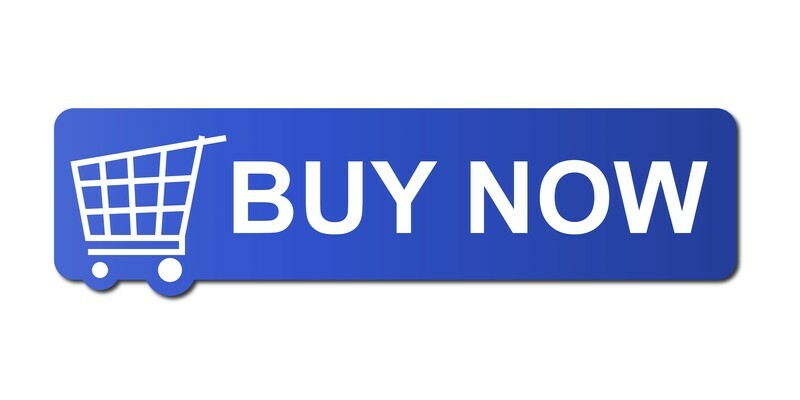 It really is a very simple marketing tactic but one that so many people get wrong. Then when you have the targeted copy consider carefully how you are going to get that to your target audience. Match you audience with the treatments that they are looking for and bingo you get your sale. Think about adjusting your hypnotherapy marketing strategy today to encompass this tactic and watch your conversions increase. Therapy Marketing – Time Equals Money! Are you one of the many therapists who undervalues their skills and times? Are you getting paid what you are really worth? 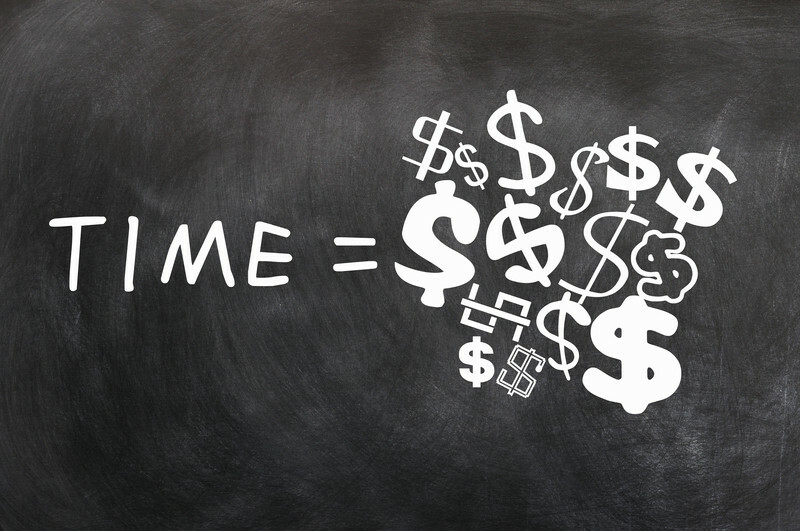 Are you billing for all your time or are you giving away hours of it without being compensated? Now I am not talking in this instance about therapists who give away some of their time for charitable purposes or even to gain experience. I am talking about therapists who without realising it are being run ragged by some of their customers and clients and are not getting paid a penny for it. If this is you then my therapy marketing sessions concentrate on how to change this behaviour so that you either have more free time or additional income to compensate. You see if you were a lawyer you would fill out time sheets showing how many billable hours are charged to your various accounts. Every moment in your day would be accounted for and an appropriate invoice would be raised for the customers who used up those hours and minutes. This is how a legal firm makes money and they do it efficiently. They don’t allow their legal teams to spend hours talking to their clients on the phone without charging for it. Their lawyers are not sitting around waiting for clients to show and not billing for that time yet therapists do. Why??? I believe that many therapists bracket themselves as caring people and as such they open themselves up to being taken advantage of. Yes you can be caring but you still need to earn money. The bills and mortgage still need to be paid. Therefore you need to bill for your time and set professional boundaries because you are worth it. That means when it comes to therapy marketing for new business you have do it efficiently and easily otherwise you will find yourself bank account dropping and your energy being sapped. Perhaps you recognise the following as some of your customers. 1) The client who rings for information but who has no intention of buying – I regularly get clients who call me to discuss hypnosis but who have no interest in buying my time. Perhaps they suffer from anxiety and want reassurance from a professional that they are going to be ok. I have had people ringing me because they want to learn more about hypnosis for their own interests or for course work. I have even had clients who have rung and asked me for a letter so that they can prove to a court that they are intending to do something about a problem without committing to spending a dime! 2) Clients who ask you to call back but are never there – Have you ever had a client who asks you to ring them at a certain time but isn’t there when you call? It is infuriating especially when you have set aside a portion of your evening to give them that call. They then apologise, rebook another time and do the same again. 3) The client who rings you and 10 other Therapists for comparison – They really do want to book a session but they just don’t know who with. They therefore decide to interview every therapist over the phone for hours. In many ways part of their therapy session is being conducted in advance as they question you on how you would handle this or that. They may even call back a number of times to ask for even more details. In some instances you may have spent hours talking to them with nothing to show for it. 4) Contact form enquiries – Particularly the ones who don’t put their phone number but want you to write an essay in a return email about how you will fix their problem. You therefore spend ages constructing a well put together reply and then you never hear from them again. 5) The dreaded no show – Perhaps the most wasteful use of your time is clients who book a session and then never bother to show up. You have perhaps traveled to a destination to meet them which has taken considerable time, hired a room and then found that you are sat there with nobody to see. There are ways of dealing with all these potential clients simply and easily so that you have more free time or can get on with the process of building your income with other clients. In my therapy marketing mentoring sessions I give you resources to deal with all of these situations and more. I make sure that all of my therapists understand how to create their own boundaries and terms of engagement. Remember you are the person who has the skills that those clients need so never be afraid to ask for payment for your time and effort.